The training season goes from march until october. we train at the park "Hazewinkel" in Heidonk. We train from 10 a.m until 4 p.m.
On wednesday evening you can find us at 7 p.m. in Hombeek at the Eglegemweg. Conditions : every participants must have a First Aid certificate and a Boat Rescuer certificate. 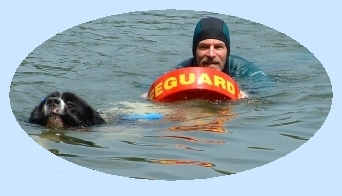 You must own a newfoundland dog or landseer ECT.